DST's environmental consulting team carried out hydrologic and hydraulic modelling of two areas of the Black Sturgeon River located around Thunder Bay, Ontario. .DST completed a project for the Ontario Ministry of Natural Resources (MNR) to do hydrologic and hydraulic modelling of two reaches of the Black Sturgeon River (100 km northeast of Thunder Bay, Ontario). 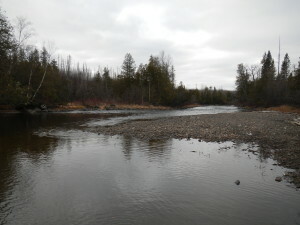 The first, at an existing dam and the second, downstream of a proposed sea lamprey control dam immediately downstream of Eskwanonwatin Lake. The Black Sturgeon Dam was constructed on the river as part of these historical logging activities and does not currently meet the Ontario Dam Safety Guidelines (OMNR 2011). As a result of a recent Environmental Assessment and public comment period, a number of options pertaining to the future use of the dam have been developed. The purpose of the modelling was to investigate the potential water level changes in the Black Sturgeon as a result of proposed changes in management of dams on the river, including removing the existing dam, altering the number of logs in the existing dam and building a new dam downstream of Eskwanonwatin Lake. Using a combination of elevation data supplied by OMNR, new survey data and available geographic information system data, a Hydrologic Engineering Centers River Analysis System (HEC-RAS) model of the river was developed and run for ten (10) scenarios at both the seven day low flow with a 20 year return period and the 50 year return period high flow. These two discharge rates were calculated for the two reaches using Environment Canada flow data from 1970 to 2010 in conjunction with the hydrology computer programs Low Frequency Analysis (LFA) and Consolidated Frequency Analysis (CFA). 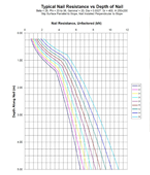 This modelling was used to predict the effects of these changes to the river and to assist the OMNR making a final decision on whether to remove or retain the existing dam structure. Sediment samples were also collected above and below the existing dam, in order to provide information regarding sediment quality and to evaluate the potential effects on the river as a result of sediment transport following the removal of the dam. Laboratory analysis of sediment included; metals, nutrients, polychlorinated biphenyls, pesticides/herbicides, and polycyclic aromatic hydrocarbons. DST conducted further hydrological modelling at the to assess if and when critical velocities would occur which would preclude the movement of walleye (Sander vitreus) and lake sturgeon (Acipenser fulvescens) through the open sluice gates in the event that all logs were removed. The potential effects that the resulting velocities could have on the spawning potential of walleye and lake sturgeon was also assessed to evaluate if the high velocities predicted in the model would prevent the movement of these fish species through the dam location.